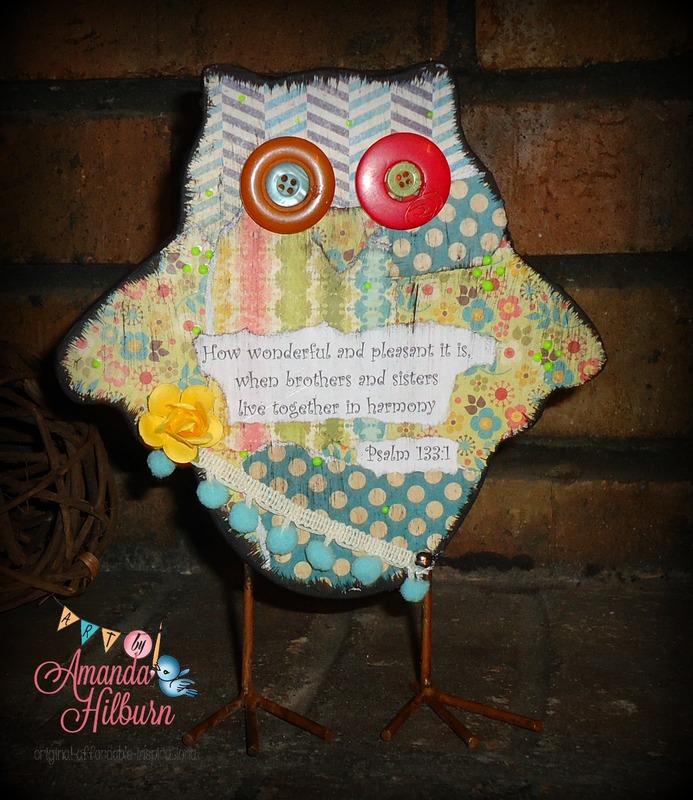 Forty Toes: GIVEAWAY Art By Amanda Hilburn! GIVEAWAY Art By Amanda Hilburn! I borrowed this write up about her from R16:16! She was just featured on their blog too! Amanda Hilburn spends her days striving to be what God wants her to be. 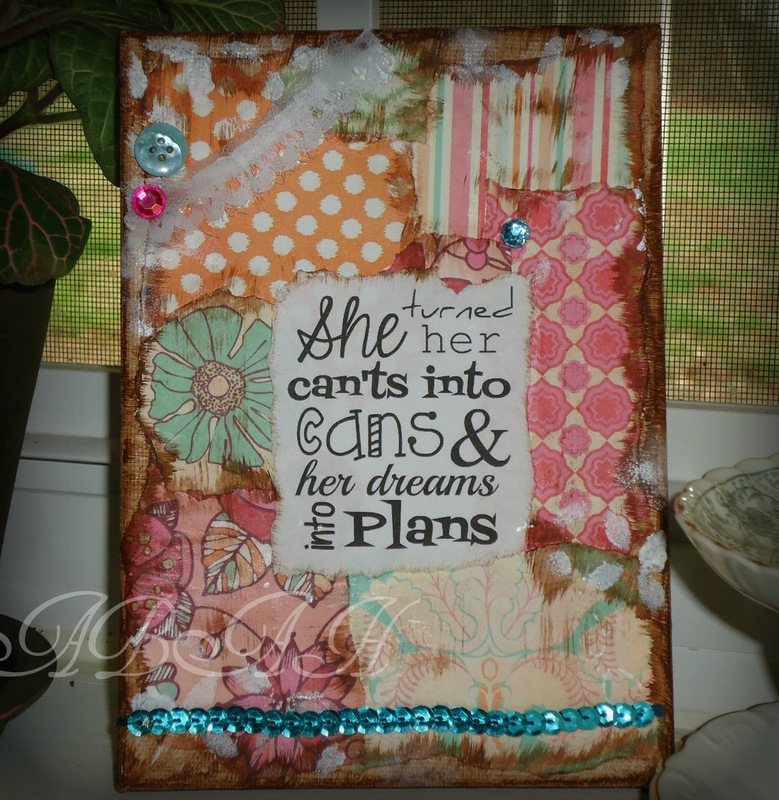 Her days are filled with homemaking, homeschooling, blogging on her 2 blogs, running her Etsy shop, oh, and creating the art that she sells there. She is married to Jason who is a preacher with the Nesbit congregation in Nesbit Mississippi. They have been blessed with two children whom she is teaching diligently at home. She talks about her home, homeschooling and family life on her blog “Teach Them Diligently.” She also wrote and published her own e-book “Pieces of the Past” which helps homeschool families and I suppose even bible class teachers to build their own historical timeline from a biblical perspective. When asked how she finds time to fit it all in she responded “I have to prioritize DAILY and pray a lot to make sure I’m prioritizing correctly! I make lists and stay up really late at night most of the time!” Sounds like she is trusting in the Lord to guide her. She says that she uses everything from acrylic paint to super glue as her mediums. She offers work on canvas, frames, calendars and even items in knit. Amanda also offers customized work to fit the personal requests of her clients. From birds and trees to buttons and baubles Amanda’s ecclectic style echoes the crafty lifestyle her mother raised her in. I’m often asked when I started painting and if I took any classes to learn how. I thought I’d take a minute to share my story with you all. 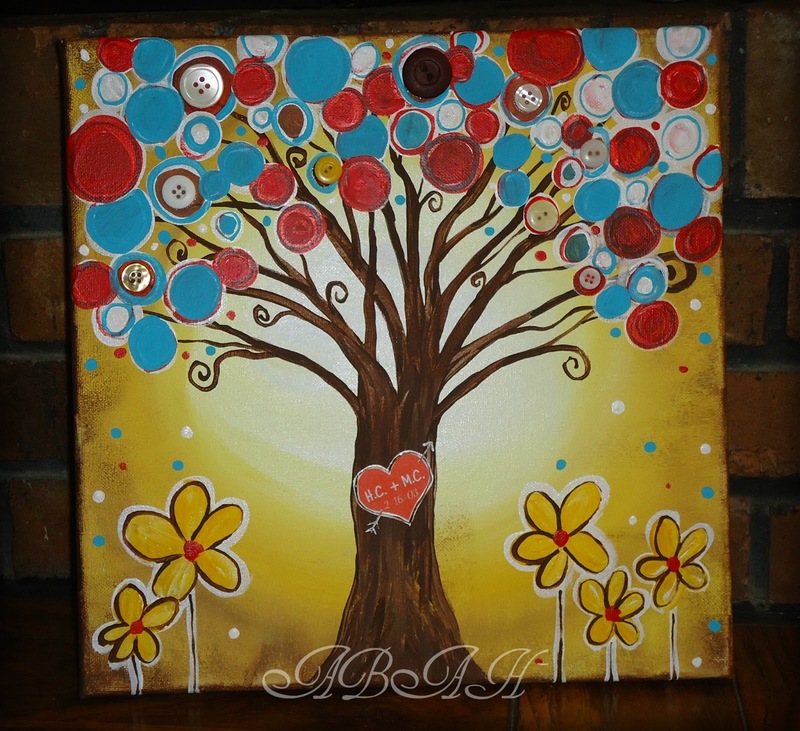 Be sure to visit Amanda at her blogs, her Etsy shop or even on her facebook community page, Art by Amanda Hilburn. You never know, you just might find the perfect, one of a kind, piece of artwork for your own home. Now the fun part one of you guys can WIN a 8x10 original canvas piece customized by the winner! Winner chooses the design, color scheme, and any inspiring words or photos to make this work of art meaningful, as well as beautiful! A retail value of $55!! 1. Like their page HERE! 2. LEAVE LOVE on their page HERE! 3. Leave a comment on my fan page HERE saying you have shared the GIVEAWAY! That is basically it! Just follow the steps in rafflecopter below! Good Luck Winner posted right back here! I left a comment saying that I shared info about the giveaway! left a comment!! awesome artwork! Amanda's art is amazing! Follow your dreams girl! Liked, shared, loved....what an awesome giveaway, Jenn! Liked & shared! Awesome giveaway! left some love on art by amanda fb page. thank you for another giveaway! Left love. Thanks for an awesome giveaway! Thank you for this giveaway! Love your work! Left Love, Thanks for the giveaway. Left a comment and shared, thanks! Left love on Amanda's wall! Left love on her wall. Left some love thank you! Left love on her page! I left love thank you both! Left some love on her wall! thanks you for such a great giveaway! That owl would look so nice in my guest bedroom!! LOVE IT! love left! thanks so much!!! I left a lot of love!! I share twice, tweeted and loved some more. :) So excited!!! Thank you for the giveaway!! I love her work!!!! She is so gifted! Left her a comment! LOVE LOVE LOVE THE ART!!!! Left Amanda some love!!! Thanks for the giveaway! I would love to win one of your pictures!